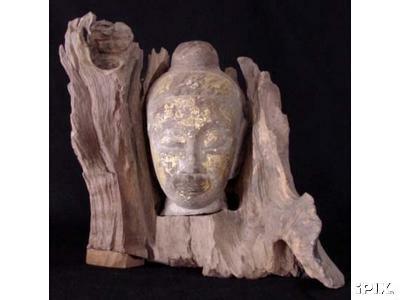 Photo credit ~ Thai Buddha, large stone, 15th – 17th Century courtesy of the curator of The Buddha Gallery. What a beautiful photo! It does bring to mind flames and a lamp on either side of the Buddha.